Math is a challenging subject for people of all ages. But it can be particularly difficult for young kids who are just beginning to learn the basics. The children’s education specialists at Tiny World Child Care in Brookline, MA, are here to offer four tips to help your child if they’re struggling with this subject. When kids can see how math applies to everyday situations, they’ll understand why it’s essential. If they can’t see its relevance, they may lose motivation. Make math part of daily life with activities like baking to learn fractions and division, and calculating the cost of groceries to learn addition. Talk to your child and ask them about the source of their anxiety. It may be the teacher is going too fast, or they might feel anxious about tests. Or, they may not be able to see the board. On the other hand, it may be there’s a particular concept they haven’t grasped that’s affecting the rest of their math learning. For instance, it’s common for kids to struggle with concepts such as subtraction, division, and fractions. Math depends on building blocks, so it’s important for kids to understand each concept before moving on to the next. Kids, particularly young children, learn best through play. There are numerous math games you can purchase to help kids learn skills. Choose an age-appropriate game they can play by themselves or with the family. Tutors can help at every age and learning stage. Although most teachers are highly capable and caring, they don’t always have enough time to provide individualized attention to kids who’re struggling. Math tutors can help your child master areas they’re struggling with and catch up with the rest of the class. 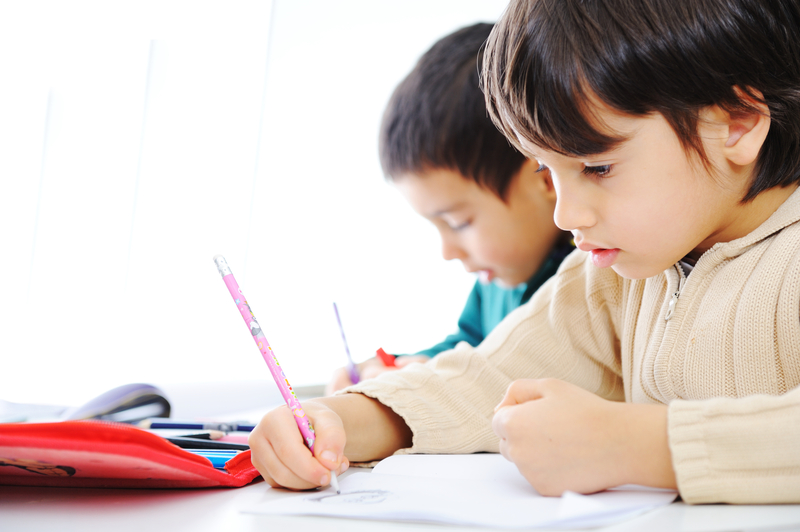 With tutoring, your child can get better grades and feel more confident. It’s never too early for kids to start learning. In fact, early children’s education can help kids be better prepared for school. If you’re a Boston area resident with young kids, turn to the early childhood education experts at Tiny World Child Care. They provide a range of educational programs and care services for young children, including tutoring and a bilingual day care. Call (617) 232-0115 to speak with a friendly staff member or visit the website to learn more. Other Announcements, Events and Deals from Tiny World Child Care Inc.